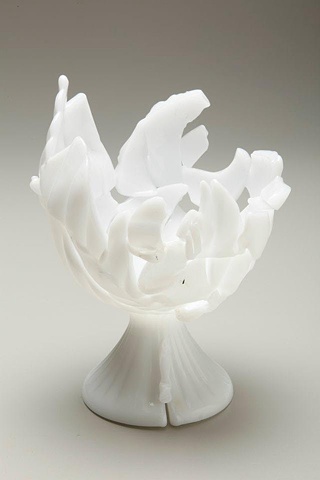 This piece was created using reconstructed American pressed glass. Flameworked and hot sculpted. I consider this experimental process work, which will culminate in an installation.